The Canary Islands is an archipelago formed by seven islands: Tenerife - the largest of all, Gran Canaria, Lanzarote, Fuerteventura, La Gomera - the closest island to Tenerife, La Palma and El Hierro. The Canary Islands are set in the Atlantic Ocean so in regards to the question about which ocean surrounds Tenerife, the answer is: the Atlantic Ocean, of course. Even if you are a good swimmer, always be careful while swimming in the ocean. The currents are powerful and tricky and you shouldn't be adventurous in places that are new to you. Most of the town beaches in Tenerife have lifeguards, who are there to protect you in case anything happens. Always listen to the lifeguards, because they know the ocean well and they know where currents are strong. 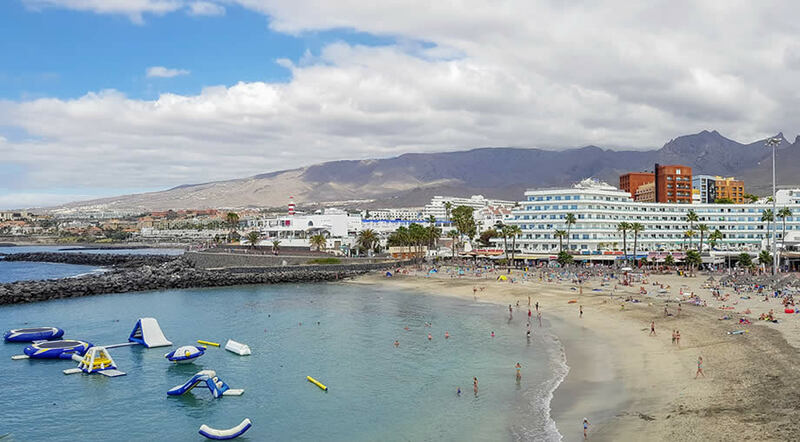 Best beaches for children in Tenerife are in Los Cristianos: Playa de los Cristianos, Las Vistas and even Puerto Colon - this a personal opinion, not the universal truth. Read more in our guide of where to stay in Tenerife if you're coming for a family holiday.